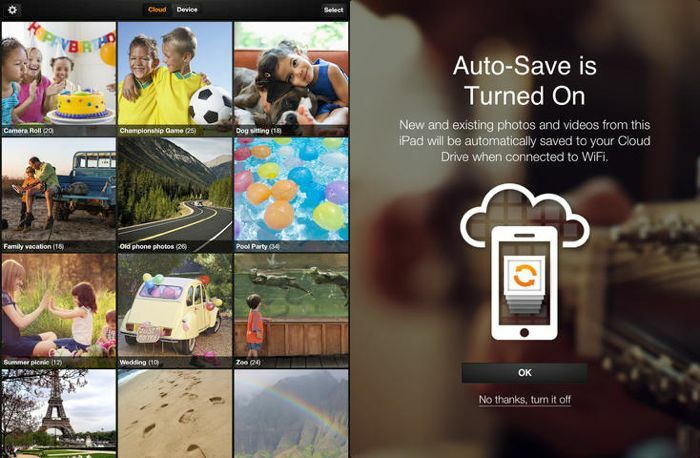 Amazon has updated its Amazon Cloud Drive Photos app for Apple’s iOS, the latest version of the application now supports the iPad and iPad Mini. As well as adding in iPad support, Amazon have also added in the ability to upload videos to the Cloud Drive Photos, this feature has been available on Android for some time. You will now be able to upload videos of around 2GB in size or 20 minutes in length to the Amazon Cloud Drive Photo’s, and if you use the auto save feature, it will now automatically upload videos as well as photos taken on your device. You can see full details of what is included in the latest version of the Amazon Cloud Drive Photos app below. The Amazon Cloud Drive Photos app is compatible with the iPhone, iPad and iPod Touch running iOS 6.0 and above, you can find out more details about the app at the link below.